Based on the extraordinary true story of Helen Keller and her teacher Annie Sullivan, this inspiring and unforgettable play is an American classic. Helen is violent, spoiled and exists inside a silent, tortured world. Blind, deaf and mute since infancy she is in danger of being sent to an institution. Desperate, Helen’s family writes to the Perkins Institute and a young, inexperienced Annie Sullivan shows up on their doorstep. Through persistence, love and sheer stubbornness, Annie breaks through Helen’s wall of silence and teaches her to communicate, finally bringing her into the world at last. 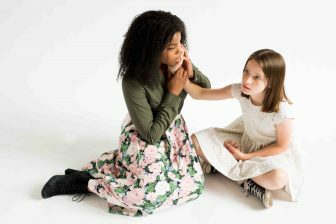 A radiant and emotionally-gripping story directed by acclaimed film producer/director Patrick Coyle and featuring up-and-coming African American actor Kiara Jackson in the title role of Annie Sullivan! Yellow Tree offers FREE tickets to anyone 25 & under as well as $5 tix through our Arts for All program. Check out our website for more info!